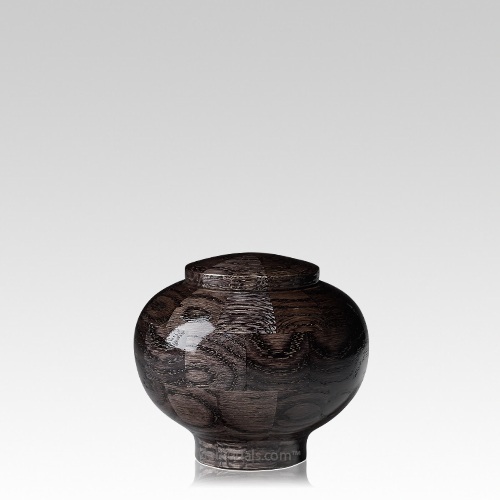 The Noir Keepsake Wood Urn is made from solid wood that is dyed. The urn is assembled with 61 individual pieces by a wooden master craft artist in the United States. A truly magnificent wooden urn made for your loved ones ashes. Since each urn is beautifully hand made, no two urns will ever look identical, giving you a true one of a kind piece of art. This is a wonderful way to remember your loved one.